This article is about the King of Castile. For other uses, see Henry IV. 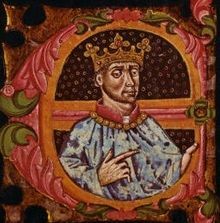 Henry IV of Castile (Castilian: Enrique IV) (5 January 1425 – 11 December 1474), King of Castile, nicknamed the Impotent (ruled 1454–1474), was the last of the weak late medieval kings of Castile. During Henry's reign the nobles increased in power and the nation became less centralised. 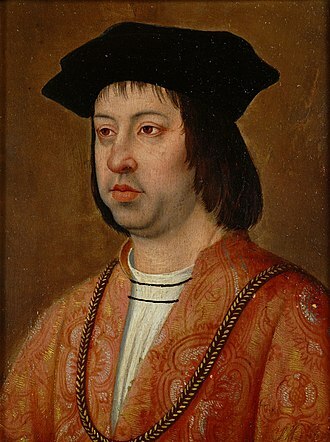 At the time of his birth, Castile was under control of Álvaro de Luna, Duke of Trujillo, who intended to select Henry's companions and direct his education. The companions of his own age included Juan Pacheco, who became his closest confidant. The struggles, reconciliations and intrigues for power among the aristocracy, Álvaro de Luna, and the Infantes of Aragon would be constant. On 10 October 1444, he became the first and only prince of Jaén. In 1445 he won the First Battle of Olmedo, defeating the Infantes of Aragon. After the victory at Olmedo, Álvaro de Luna's power waned, and Prince Henry and Juan Pacheco's influence grew. Henry IV's father died on July 20, 1454 and he was proclaimed king the following day. One of King Henry's first priorities was the alliance with Portugal. He achieved this by marrying a second time to Joan of Portugal, daughter of King Edward of Portugal, in 1455; and by meeting her brother King Afonso V of Portugal in Elvas in 1456. His other main concerns were the possibility of intervention from King John II of Navarre, establishing peace with France and Aragon, and pardoning various aristocrats. :73 Henry IV convened the Cuéllar Courts to launch an offensive against the Emirate of Granada. :73 The campaigns of 1455 and 1458 developed into a war of attrition based on punitive raids and avoiding pitched battles. It was not popular with the aristocracy or the people. Juan Pacheco, the Marquis of Villena, and his brother Pedro Girón were put in charge of government decisions. King Henry also took other advisors, such as Beltrán de la Cueva, Miguel Lucas de Iranzo, and Gómez de Cáceres to balance against their influence. In 1458, King Alfonso V of Aragon died and was succeeded by his brother, John II of Navarre. King John II resumed his interference in Castillian politics, supporting the aristocratic opposition to Juan Pacheco's ambitions. With the support of the King Henry, Pacheco moved to seize Álvaro de Luna's assets, but his widow allied herself with the Mendoza family, causing a division among the aristocracy. This process resulted in the formation of a League of Nobles in March 1460. They raised a large number of noblemen, took control of expenditure, and gained the acceptance of Alfonso of Castille, the King Henry's half-brother and Prince of Asturias. To counteract King John II's politicking, Henry IV reacted by invading Navarre in support of Charles, Prince of Viana. Charles was the heir to Navarre, and he revolted against his father John II in 1450 when he refused to cede the throne of Navarre. :55 The campaign was a military success, but King Henry made peace with the League of Nobles in August 1461 to ward off the power of the Mendozas, which had allowed John II to intervene in Castille. Stained glass "Don Enriq" in the Alcázar, Segovia. During his reign as king, Henry IV spent a lot of time at the Royal Alcazar of Madrid where he would stay there for long periods of time. The Royal Alcazar was later replaced with the Royal Palace of Madrid by the rulers of Spain. One of Henry's detractors, the historian Alfonso de Palencia, wrote that the marriage had been a sham and accused Henry of despising his wife and planning to commit adultery to bear children. According to Palencia, Henry demonstrated "most extreme abhorrence" to his wife, and indifference to the confines of marriage. :57 However, in 1462 Blanche gave up her right to the Navarre throne so Henry could take it, and selected him as her protector, against her own father John II of Aragon. The remoteness of Aragon led to an approach to Portugal. In March 1453, before his divorce from Blanche was finalised, there was no record of negotiations for the new marriage between Henry and Joan of Portugal, sister of the king Alfonso V of Portugal. The first marital approaches were made in December of that year, although the negotiations were long and the proposal wasn't definitively agreed until February 1455.:59 According to chroniclers of the time, Joan did not provide a dowry and would not have to return anything even if the marriage turned out to be a failure. The length of the negotiations and the concessions could be interpreted as caused by the concerns about the rumours of Henry's impotence. :65–67 The wedding was celebrated in May 1455, but without an affidavit of official bull authorizing the wedding between them, although they were first cousins (their mothers were sisters) and second cousins (their paternal grandmothers were half-sisters). On 28 February 1462, the queen gave birth to a daughter Joanna la Beltraneja, whose paternity came into question during the conflict for succession to the Castillian throne when Henry died. Henry IV was twenty-six years old when his half-sister Isabella was born. She was the daughter of his father's second marriage in 1447, to Isabella of Portugal. Henry made a number of attempts throughout his reign to arrange a politically advantageous marriage for his much younger sister. The first attempt was when the six-year-old Isabella was betrothed to Ferdinand, son of John II of Navarre (a cadet branch of the House of Trastámara). :35 This arrangement, however, did not last long. Before the birth of his daughter, Henry convened the Court in Madrid and Joanna was sworn in as Princess of Asturias. But a conflict with the nobility was created when Beltrán de la Cueva deposed Juan Pacheco, the Marquis of Villena, and his brother Pedro Girón, Master of Calatrava from Henry's court. :185 This caused a change in alliances: Mendoza began to support the king, and Pacheco revived the Aristocratic League aimed at eliminating the influence of Beltrán de la Cueva. 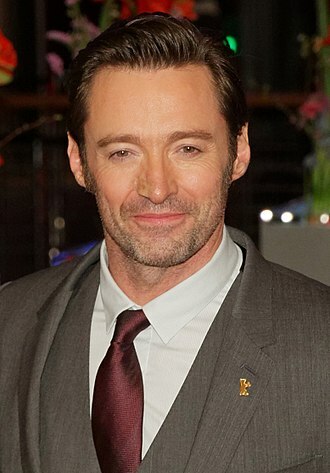 They had doubts about the paternity of Henry's daughter, saying that she was in fact the daughter of the new favourite, and started referring to her as "la Beltraneja". :185 The league of nobles, controlling the king's siblings Alfonso and Isabella, forced Henry at the 1464 Representation of Burgos to repudiate Joanna and recognize Alfonso as his official heir. Alfonso then became Prince of Asturias, a title previously held by Joanna. Henry agreed to the compromise with the stipulation that Alfonso someday marry Joanna, to ensure that they both would one day receive the crown. Not long after this, Henry reneged on his promise and began to support his daughter's claim once more. The nobles in league against him conducted a ceremonial deposition-in-effigy of Henry outside the city of Avila and crowned Alfonso as a rival king. This event is known in history as the Farce of Avila. Shortly thereafter, Alfonso began handing out land and titles as if he were already uncontested ruler. A civil war began. 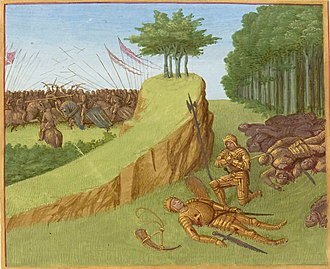 The most notable clash was at the Second Battle of Olmedo in 1467, which concluded as a draw. However, in 1468 at age 14, Alfonso died, most likely from the plague (although poison and slit throat have been suggested). His will left his crown to his sister, Isabella, who was asked to take her brother's place as the champion of the rebels. Shortly thereafter at the negotiation of Toros de Guisando, in which she and her allies received most of what they desired, Henry agreed to exclude Joanna la Beltraneja from the succession, and to recognize Isabella as his official heir. Though Henry continued to resist this decision when possible, his actions were ineffective, and he remained at peace with Isabella for the rest of his reign. Isabella became Castile's next monarch when he died in 1474. After the death of the king, war broke out in Castile. Joanna was supported by Portugal, while the eventual winner, Henry's half-sister Isabella I of Castile, had the support of Aragon. France initially supported Joanna, yet in 1476, after losing the Battle of Toro, France refused to help Joanna, further and in 1478 signed a peace treaty with Isabella. Henry IV cuartillo from the Villalón de Campos mint. In 1440, at the age of fifteen, he was married to Blanche II of Navarre. The marriage was never consummated. In 1453, after thirteen years, Henry sought a divorce. An official examination confirmed the virginity of Blanche, and a priest questioned the prostitutes of Segovia, who confirmed that Henry was sexually capable. Blanche was sent home; eight years later, she became de iure Queen of Navarre and died under strange circumstances. In 1455, Henry married Joan of Portugal, sister of Afonso V of Portugal. After six years of marriage, in 1462, she gave birth to a daughter, Joan, nicknamed "La Beltraneja". Six years after the birth of the throne's heir, part of the nobility of Castile revolted against the king. The rebels claimed that the princess was not the daughter of the king, but actually the daughter of Beltrán de La Cueva, 1st Duke of Alburquerque (thus the nickname "Beltraneja"). This hypothesis was reinforced when the Queen had another two children with the nephew of a bishop. Though many contemporary historians and chroniclers believed Henry was impotent, even homosexual, the royal chronicles of his reign were all written or revised during the reign (and under the influence) of Isabella I, his half-sister and ultimate successor, whose strong interest in proving Joan illegitimate renders these accounts at least partially suspect. The question of Joan's paternity and right to the throne is therefore not firmly answerable, given the lack of available reliable sources. The doubt of her legitimacy as an heir, the weakness of the king, the adultery of the queen, and the unruliness of the nobility all set the stage for a struggle for succession after Henry's death. Henry divorced his wife after her scandalous behavior with Bishop Fonseca's nephew. After a long period of conflict between the rival factions, Henry finally agreed to name Isabella his successor, in Guisando (Avila), provided she allow him to arrange her strategic marriage. Isabella would go on to break this stipulation of the agreement. 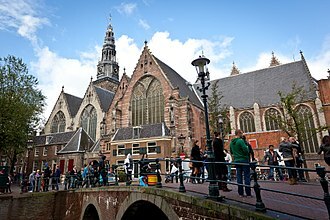 Henry died in 1474 and was buried at Santa María de Guadalupe, next to his mother. ^ a b c d e f g h i j Martín, José-Luis (2002). Enrique IV de Castilla : Rey de Navarra, Príncipe de Cataluña. Hondarribia: Nerea. ISBN 84-89569-82-7. OCLC 52644522. ^ In the cultural magazine of Don Lope de Sosa (1913-1930), creator of the official chronicle of the province of Jaén, D. Alfredo Cazabán Laguna (1870-1929) mentions the creation of the principality of Jaén in an article for King John II (10 October 1444) with the intention of restabilising the following a revolt of the aristocracy of Baeza, which affected the whole province and was led by Bishop Gonzalo de Zúñiga and his city. John gave the principality of Jaén to his son and heir Henry when Henry took the title Prince of Asturias in 1444, and Henry title became Prince of Henry and Jaén. The province stabilised with his accession to the throne, so the principality was repealed. ^ Los Trastamara y la Unidad Española. Ediciones Rialp. 1981. pp. 407–408. ISBN 9788432121005. ^ Iglesias Rodríguez, Juan José; García Fernández, Manuel (1995). Universidad de Sevilla, ed. Osuna entre los tiempos medievales y modernos (siglos XIII-XVIII). p. 79. ISBN 9788447202218. ^ Franco Silva, Alfonso (1996). La fortuna y el poder: estudios sobre las bases económicas de la aristocracia castellana: S. XIV-XV. Servicio Publicaciones Universidad de Cádiz. p. 297. ISBN 9788477863021. ^ Monsalvo Antón, José María (1988). 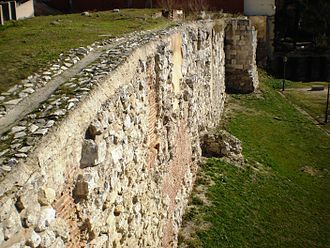 El sistema político concejil: el ejemplo del señorío medieval de Alba de Tormes y su concejo de villa y tierra. Universidad de Salamanca. p. 47. ISBN 9788474814842. ^ Leralta, Javier (2008). Apodos reales: historia y leyenda de los motes regios. Silex Ediciones. p. 322. ISBN 9788477372110. ^ Álvarez Palenzuela, Vicente Ángel (2007). Historia de España de la Edad Media. Editorial Jethro. p. 764. ISBN 9788434466685. ^ Los Trastamara y la Unidad Española. Ediciones Rialp. 1981. pp. 414–415. ISBN 9788432121005. ^ Corteguera, Luis R. (2002). For the Common Good: Popular Politics in Barcelona, 1580-1640. Cornell University Press. p. 13. ISBN 9780801437809. ^ a b c Rábade Obradó, María del Pilar; Vaquero, Eloísa Ramírez; Utrilla, Juan Fernando (2005). La dinámica política. Madrid, España: Istmo. ISBN 9788470904332. OCLC 6733621553. 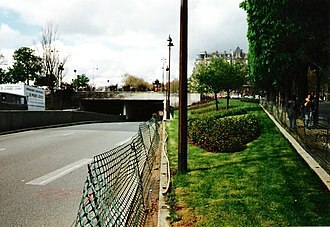 ^ Baruque, Julio Valdeón (2002). Los Trastámaras : el triunfo de una dinastía bastarda (3rd ed.). Madrid: Temas de Hoy. ISBN 84-8460-129-3. ^ Edwards, John; Lynch, John (2008). Edad Moderna: Auge del Imperio, 1474-1598. 4. Editorial Critica. pp. 17–18. ISBN 9788484326243. ^ Testimonial of the divorce ruling between Prince Henry and the infanta Blanche, included in Collection of unedited documents on the history of Spain, vol. XL, pgs. 444-450. ^ a b c Ohara, Shima (2004). La propaganda política en torno al conflicto sucesorio de Enrique IV (1457-1474). Valladolid: Universidad de Valladolid. ISBN 84-688-7203-2. ^ Plunket, Ierne L. (1919). Isabel of Castile and the making of the Spanish nation, 1451-1504. New York, London: G.P. Putnam's Sons. ^ Álvarez Palenzuela, Vicente Ángel (2007). Editorial Ariel, ed. Historia de España de la Edad Media. p. 777. ISBN 9788434466685. ^ Eisenberg, Daniel (1976). "Enrique IV and Gregorio Marañón". Renaissance Quarterly. 29 (1): 21–29. doi:10.2307/2859988. JSTOR 2859988. ^ Tremlett, Giles (2010). Catherine of Aragon : Henry's Spanish queen, a biography. London: Faber and Faber. ISBN 9780571235117. OCLC 753243495. Miller, Townsend (1963). The castles and the Crown: Spain: 1451-155. Coward-McCann. OCLC 1004948375. Ferdinand II, called the Catholic, was King of Sicily from 1468 and King of Aragon from 1479 until his death. As a consequence of his marriage to Isabella I, he was King of Castile as Ferdinand V from 1474 until her death in 1504 and he was recognised as regent of Castile for his daughter and heir, from 1508 until his own death. In 1504, after a war with France, he became King of Naples as Ferdinand III, reuniting Naples with Sicily permanently, in 1512, he became King of Navarre by conquest. Ferdinand is today best known for his role in inaugurating the discovery of the New World, since he and that year he fought the final war with Granada which expunged the last Islamic state on Iberian soil, thus bringing to a close the centuries-long Reconquista. At his death he was succeeded by Joanna, who co-ruled with her son, Charles V, Ferdinand was born in Sada Palace, Sos del Rey Católico, Kingdom of Aragon, as the son of John II of Aragon by his second wife, Juana Enríquez. He married Infanta Isabella, the half-sister and heiress of Henry IV of Castile, on 19 October 1469 in Valladolid, Kingdom of Castile, Isabella belonged to the royal House of Trastámara, and the two were cousins by descent from John I of Castile. They were married with a prenuptial agreement on sharing power. He became jure uxoris King of Castile when Isabella succeeded her brother in 1474 to be crowned as Queen Isabella I of Castile. The two young monarchs were initially obliged to fight a war against Joan of Castile, the purported daughter of Henry IV. When Ferdinand succeeded his father as King of Aragon in 1479, the Crown of Castile, for the first time since the 8th century, this union created a single political unit referred to as España, the root of which is the ancient name Hispania. The various states were not formally administered as a single unit, the completion of the Reconquista was not the only significant act performed by Ferdinand and Isabella in that year. That document was signed with the defeated Moorish Emir of Granada Muhammad XII and it allowed Mudéjar Moors and converso Marrano Jews to stay, while expelling all unconverted Jews from Castile and Aragon. 1492 was the year in which the monarchs commissioned Christopher Columbus to find a maritime route for access to Asia. Extremadura is an autonomous community of western Spain whose capital city is Mérida. Its component provinces are Cáceres and Badajoz and it is bordered by Portugal to the west. 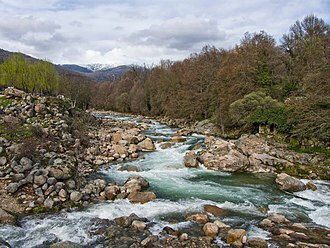 To the north it borders Castile and León, to the south, it borders Andalusia and it is an important area for wildlife, particularly with the major reserve at Monfragüe, which was designated a National Park in 2007, and the International Tagus River Natural Park. The government of Extremadura is called Gobierno de Extremadura, Extremadura is contained between 37° 57′ and 40° 85′ N latitude, and 4° 39′ and 7° 33′ W longitude. The area of Extremadura is 41,633 km2, making it the fifth largest of the Spanish autonomous communities and it is located in the Southern Plateau. In the north is the Sistema Central with the highest point in Extremadura,2,401 m high Calvitero, the main subranges of the Sistema Central in Extremadura are the Sierra de Gata and Sierra de Béjar. In the centre is the Sierra de las Villuercas which reaches an altitude of 1,603 m on the Pico de las Villuercas, other notable ranges are Sierra de Montánchez and the Sierra de San Pedro, which form part of the greater Montes de Toledo system. To the south rises the Sierra Morena which separates Extremadura from Andalusia with Sierra de Tentudía where the highest altitude of mountains in Extremadura is Pico Tentudía at 1,104 m. There are four different hydrographic basins, The basin of the Tagus, with two tributaries, on the right, the Tiétar and the Alagón, and on the left, the Almonte, Salor. The tributaries on the right edge carry a quantity of water, which feed the gorges of the Sistema Central where the rainfall is abundant. The basin of the Guadiana, which has tributaries, to the right and Ruecas to the left, Zújar River which is its plentiful tributary. The basin of the Guadalquivir with only 1,411 km2 in Extremadura, the basin of the Douro with only 35 km2 in Extremadura. The climate of Extremadura is Mediterranean, except to the north, where it is continental, and to the west, the yearly temperature fluctuates between an average minimum of 4 °C and an average maximum of 33 °C. In the north of Extremadura, the temperatures are lower than those in the south, with temperatures gradually rising south towards the Sierra Morena. The Catalans are a Romance ethnic group formed by the people from, or with origins in, who form a nationality in northern Spain. The inhabitants of the adjacent portion of southern France are included in this definition, Catalan is sometimes used to define people from the so-called Catalan Countries, expression used to include other areas where the Catalan is spoken. The aforementioned territories are often designated Països Catalans, Catalan Countries, the area that now is known primarily as Catalonia was, as the rest of the Iberian Peninsula, invaded in 1500 BCE by Proto-Celtic Urnfield people who brought the rite of burning the dead. These Indo-European people were absorbed by the Iberians beginning in 600 BCE in a process that would not be complete until the fourth century BCE. These groups came under the rule of various invading groups starting with the Phoenicians and Carthaginians, following the Punic Wars, the Romans replaced the Carthaginians as the dominant power in the Iberian eastern coast, including parts of Catalonia, by 206 BCE. Rome established Latin as the language and imparted a distinctly Roman culture upon the local population. An early precursor to the Catalan language began to develop from a form of popular Latin before. Various Germanic tribes arrived following nearly six centuries of Roman rule, the Visigoths established themselves in the fifth century and would rule the area until 718 when Muslim Arabs and Berbers conquered the region and held it for close to a century. The Franks held back small Muslim raiding parties, which had penetrated virtually unchallenged as far as central France, larger wars with the Muslims began with the Spanish March which led to the beginnings of the Reconquista by Catalan forces over most of Catalonia by the year 801. Barcelona became an important center for Christian forces in the Iberian Peninsula, Catalonia emerged from the conflicts in Muslim Spain as a regional power, as Christian rulers entrenched themselves in the region during the Carolingian period. Rulers such as Wilfred the Hairy became masters of a territory encompassing Catalonia. 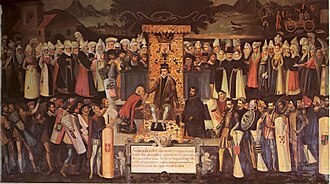 The Crown of Aragón included Catalonia, Aragón, some sporadic regional unrest led to conflicts such as the Revolt of the Germanies in Valencia and Majorca, and the 1640 revolt in Catalonia known as the Reapers War. This latter conflict embroiled Spain in a war with France as many Catalan nobles allied themselves with Louis XIII. The Catalan government took sides with the Habsburg pretender against the Bourbon one during the War of the Spanish Succession that started in 1705 and ended in 1714. The Catalan failure to defend the perpetuation of Habsburg dynasty in Spain culminated in the surrender of Barcelona on 11 September 1714, which came to be commemorated as Catalonias national day. During the Napoleonic Wars, much of Catalonia was seized by French forces by 1808, in France, strong assimilationist policies integrated many Catalans into French society, while in Spain a Catalan identity was increasingly suppressed in favor of a national identity. The Catalans regained autonomy during the Spanish Second Republic from 1932 until Francisco Francos nationalist forces retook Catalonia by 1939. Isabella of Portugal was Queen consort of Castile and León. She was the mother of Queen Isabella I the Catholic and she was born as a scion of a collateral branch of the Aviz dynasty that had ruled Portugal since 1385. Isabella of Braganza was therefore a half-niece of her husband, isabellas father held some lordships, but was not among the forefront of the Portuguese royal house, there being a multitude of powerful dukes ahead of him. Isabella was married to king John II of Castile as his second wife and his first wife, Mary of Aragon, had given him four children, though only one, the future Henry IV of Castile, had survived. Henry had been joined to Blanche II of Navarre in a marriage for seven years and was called El Impotente. Because of this, John decided to seek another wife, the two were wed on 22 July 1447 when John was 42 and Isabella only 19. De Luna had dominated the king for years and doubtless expected this to continue after the marriage, de Luna tried to control the young queen as well, even going as far as to attempt to limit the couplings between the amorous king and his bride. Isabella took exception to de Lunas influence over her husband and attempted to persuade her husband to remove this favourite and she had little success until after the 1451 birth of her daughter and namesake who would become Isabella I of Castile. The queens confinement was long and difficult, and the new mother sank into a depression during which she refused to speak to anyone. To do this, Isabella employed the help of a nobleman, Alfonso Pérez de Vivero, hoping that de Luna would kill Pérez, when de Luna discovered this, he murdered Pérez, just like Isabella had planned. When de Lunas crime was discovered, Isabella used it as an excuse to have him executed, the death of his favourite saddened the old king, and his health began to decline rapidly. On 15 November 1453, Isabella gave birth to a son, Henry IV, newly divorced from Blanche, became king. After Henry ascended the throne, he sent his stepmother, who was three years younger than himself, and his two little half-siblings to the Castle of Arévalo, while there, the dowager queen and her two children lived austerely. At the time, Catalonia did not yet exist as a political entity, though the use of this term seems to acknowledge Catalonia as a cultural or geographical entity. The counties that would make up the Principality of Catalonia were gradually unified under the rule of the Count of Barcelona. Under Alfons the Troubador, Catalonia was regarded as an entity for the first time. Still, the term Principality of Catalonia was not used legally until the 14th century, the term Principality of Catalonia remained in use until the Second Spanish Republic, when its use declined because of its historical relation to the monarchy. Today, the term is used primarily by Catalan nationalists and independentists to refer collectively to the French, like much of the Mediterranean coast of the Iberian Peninsula, it was colonized by Ancient Greeks, which chose Roses to settle in. Both Greeks and Carthaginians interacted with the main Iberian population, after the Carthaginian defeat, it became, along with the rest of Hispania, a part of the Roman Empire, Tarraco being one of the main Roman posts in the Iberian Peninsula. The Visigoths ruled after the Western Roman Empires collapse near the end of the 5th century, moorish Al-Andalus gained control in the early 8th century, after conquering the Visigothic kingdom in 711-718. A distinctive Catalan culture started to develop in the Middle Ages stemming from a number of petty kingdoms organized as small counties throughout the northernmost part of Catalonia. The counts of Barcelona were Frankish vassals nominated by the Carolingian emperor the king of the Franks, in 987 the count of Barcelona did not recognise Frankish king Hugh Capet and his new dynasty which put it effectively out of the Frankish rule. At the start of eleventh century the Catalan Counties suffer an important process of feudalisation, on the other side, the king of France, heir of the Carolingian Empire formally renounced his nominal feudal lordship over all the Catalan counties. This treaty turned the de facto independence of the Catalan counties into a de jure. At the same time, the Principality of Catalonia developed an institutional and political system based in the concept of pact between the estates of the realm and the king. Pope Nicholas V, born Tommaso Parentucelli, was Pope from 6 March 1447 until his death. Pope Eugene made him a cardinal in 1446 after successful trips to Italy and Germany, and he took his name Nicholas in memory of his obligations to Niccolò Albergati. The Pontificate of Nicholas saw the fall of Constantinople to the Ottoman Turks, by the Concordat of Vienna he secured the recognition of papal rights over bishoprics and benefices. He brought about the submission of the last of the antipopes, Felix V, a key figure in the Roman Renaissance, Nicholas sought to make Rome the home of literature and art. He strengthened fortifications, restored aqueducts, and rebuilt many churches, the glories of the Leonine City, the Vatican, and the Basilica of St. Peter must be considered part of his legacy. His mother, Andreola Bosi of Fivizzano, married Bartolomeo Parentucelli, a physician who practiced medicine in Sarzana, the Lunigiana region had long been fought over by competing Tuscan and Milanese forces. His father died while he was young, Parentucelli became a tutor, in Florence, to the families of the Strozzi and Albizzi, where he met the leading humanist scholars. He studied at Bologna and Florence, gaining a degree in theology in 1422 and he was able to collect books, for which he had an intellectuals passion, wherever he went. Some of them survive with his marginal annotations and he attended the Council of Florence and in 1444, when his patron died, he was appointed Bishop of Bologna in his place. Civic disorders at Bologna were prolonged, so Pope Eugene IV soon named him as one of the legates sent to Frankfurt. He was to assist in negotiating an understanding between the Papal States and the Holy Roman Empire, regarding undercutting or at least containing the reforming decrees of the Council of Basel. His successful diplomacy gained him the reward, on his return to Rome, at the papal conclave of 1447 he was elected Pope in succession to Eugene IV on 6 March. He took the name Nicholas in honour of his early benefactor, the eight scant years of his pontificate were important in the political and literary history of the world. Blanche I was Queen of Navarre from 1425 to 1441. She became queen regnant upon the death of her father King Charles III of Navarre and she served as Regent of Sicily in 1404–05 and in 1408–15. Blanche was the second eldest daughter of King Charles III of Navarre and she became heir to the throne of Navarre on the death of her elder sister, Joan, in 1413. Blanche married firstly Martin the Younger, King of Sicily and Prince of Aragon and they were married by proxy on 21 May 1402 in Catania. Blanche traveled to meet Martin, and they were married in person on 26 December 1402, the bride was about fifteen years old and the groom twenty-eight. Martin had been in need of legitimate heirs, as he had survived his previous wife and former co-ruler, Queen Maria of Sicily, from October 1404 to August 1405, she served as regent of Sicily during the absence of her spouse in Aragon. From August 1408 to July 1409, she served as regent of Sicily during the absence of her spouse in Sardinia, when Martin died on 25 July 1409, he was succeeded by his own father, Martin I of Aragon. Her former father-in-law allowed her to continue as regent of Sicily, with the victory of Ferdinand I in Aragon, Blanche lost her regency power in Siciliy, which was annexed to Aragon in November 1415, and left for Navarre. Blanche returned to Navarre where she was sworn in as heir to the throne in Olito the 28 October 1415, and was given allegiance by the lords. On 6 November 1419, Blanche married her husband, duke of Peñafiel. Ferdinand had succeeded his maternal uncle Martin I in 1412, on 10 June 1420, they were married in person in Pamplona. The couple first lived in Peñafiel, but were called to live in Navarre by her father in 1422, Charles III died on 8 September 1425 and Blanche succeeded him as Queen regnant of Navarre. John became King of Navarre in her right as John II, Blanche died in Santa María la Real de Nieva in 1441. After her death, John kept the government of Navarre in his own hands, from the hands of their own son Charles of Viana and he would become King of Aragon and King of Sicily upon the death of his elder brother Alfonso V of Aragon in 1458. Valladolid City Hall in Plaza Mayor, the seat of the City Council of Valladolid. Vallisoletum, 1574, by Braun and Hogenberg. 'A jousting tournament in the main square of Valladolid', ceiling preserved in Madrid's Museo del Prado. Overview of the main facade and the square that lies before it. Towering over 2,400 m, the Calvitero is considered to be the Extremadura's highest point. 17th century panorama of the city of Badajoz. Education of Prince John, by Salvador Martínez Cubells 1877. John was the only son of the Catholic Monarchs and heir of all his domains during his lifetime. Tomb of Count Ramon Berenger I (d. 1076). Battle of the Puig by Andreu Marçal de Sax depicting the Christian victory with the aid of Saint George. After the Catalan defeat during the War of Spanish Succession, Philip V of Spain ordered the burning of all the Catalan flags and banners. The castells, human towers, are part of the Catalan culture since 1712 and were declared by UNESCO to be amongst the Masterpieces of the Oral and Intangible Heritage of Humanity. Catalan children wearing the traditional outfit, including the barretina. Statues of the Gothic kings in the Plaza de Oriente. Coat of Arms of Alphonse V of Aragon in Satyrarum hecatostichon by Francesco Filelfo (1449). Manuscript detail of Alfonso V of Aragon. The triumphal arch entrance of Castel Nuovo. Álvaro de Luna y Jarana (right). Statue of Álvaro de Luna in Cañete. Sculpture of Alfonso in his tomb in Burgos. Coin minted by Alfonso's supporters in Seville. Silver coin minted by the Emirate of Granada. The dementia of Isabella of Portugal (In Spanish: La demencia de Isabel de Portugal). Portrait attributed to the painter Pelegrí Clavé, which shows the widowed queen of Castile, Isabella of Portugal and Braganza, in one of her fits of insanity. Beside her are her youngest son, Alfonso of Castile (left) and her eldest daughter, the future Queen Isabella (right), along with other individuals from the small circle that accompanied the family into exile. The Infantes of Aragon (clockwise from top): Alfonso, Juan, Maria, Enrique, Leonor, Pedro. French troopers using periscope, 1915.